The son of a brewer, Thomas Cromwell rose from obscurity to become Earl of Essex, Vice-Regent and High Chamberlain of England, and Chancellor of the Exchequer, maneuvering his way to the top by intrigue, bribery, and force of personality. 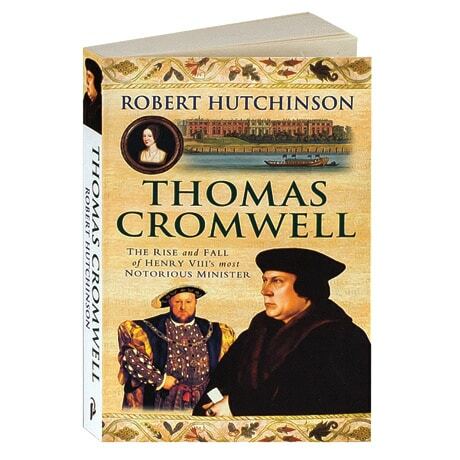 In his portrait of Henry VIII's most able minister, Robert Hutchinson describes how Cromwell pursued the king's interests with single-minded energy; tasked with engineering the judicial murder of Anne Boleyn, he tortured her servants and relations and then organized a "show trial" of Stalinist efficiency. He also orchestrated the seizure of Catholic monasteries and used their enormous wealth to cement the loyalty of the English nobility, enrich the crown, and line his own pockets.